We’d like to share with all of you a report we found on the “Basque with the Cart”. We’ve written about this Basque before: he was born in Errotxapea, outside Pamplona, and became a true Argentine folk hero, after walking 22,000 km (13,600 mi) around Argentina for over 14 years, all by himself, with a cart loaded with almost 200 kg (440 lb). The story in itself is incredible. We blogged about it back in 2012, based on a beautiful report in the Argentine daily Clarín. It talked about Guillermo Isidoro Larregui Ugarte, a legendary character who claimed that “he could walk to Buenos Aires pushing a cart laden with almost 200 kilos”. His claim was hard to believe, however, given that he lived in Cerro Bagual, over 3200 km (2000 mi) from the Argentine capital. That 14-month journey was the first of four that would take up 14 years of his life and over 22,000 km (13,600 mi). That’s a long road to take you all the way to Iguazú Pass, at the foot of the famous falls, where he lived until his death in a small house he built himself. The place, as we stated in earlier entries, has a very special symbolic value, as it’s in Misiones province, the same place where the Jesuits, in the 17th century, created their “Reducciones” for the Guaranís, and where they tried to free them from the slavery imposed by the Portuguese Bandeirantes. So we’re bringing back this Basque-Argentine hero, because we’ve found yet another reference to him that we thought was extremely interesting. 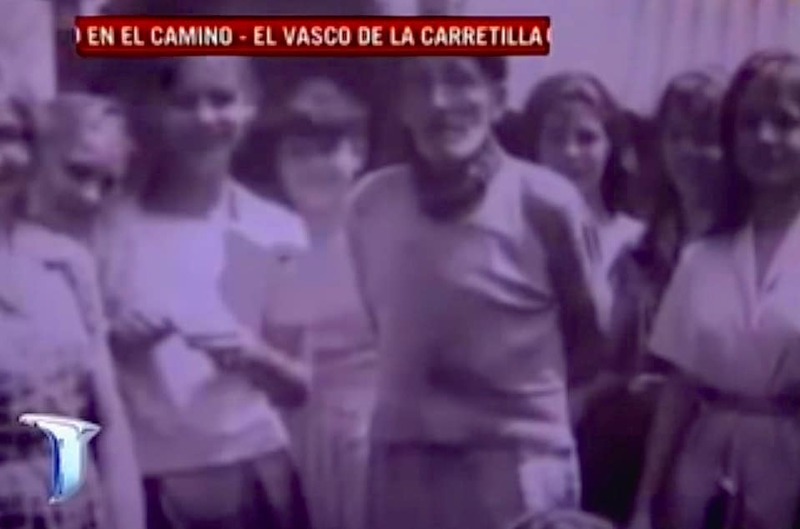 It’s a documentary about Guillermo Isidoro Larregui Ugarte as part of the series “Cuadernos del camino” (Road diaries) on the Argentine channel Todo Noticias. It’s directed by journalist, author, and director Mario Markic, and we thought it was quite interesting to see him talk not only of Larregui’s travels, and also of who this extraordinary Basque was. We’d also like to leave you with a link to the documentary film “¡Gora vasco! Milonga de temple y carretilla” by Roberto Arizmendi. We hope our readers will enjoy it as much as we did.